Among the types of vehicles that we at Smothers European Volvo Cars believe that you would do well with is the type of vehicle that has an athletic appearance as well as performance. You will get this type of athletic prowess from the 2019 Volvo XC60 which is built like a Scandinavian athlete. 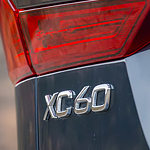 One of the features that gives the 2019 XC60 its athletic appearance is its large set of wheels which make it more fun to ride. There are also side moldings that are very tough which make it a character to behold when it comes to the SUV. The LED lights are another feature that add to the athletic nature of the vehicle. For one thing, the athletic vehicle needs the driver to be able to see in order to enjoy the smoothness of the ride without having to worry about any other issues that could ruin it.